Trees can enhance the appeal of your property and its surroundings and therefore increase its value. Trees can reduce your utility bills by sheltering your property from the cooling effects of the wind during the winter months and shading your property during the summer. Trees have a positive impact on people’s physical and mental health, providing an attractive, calming setting for work, rest and recreation. 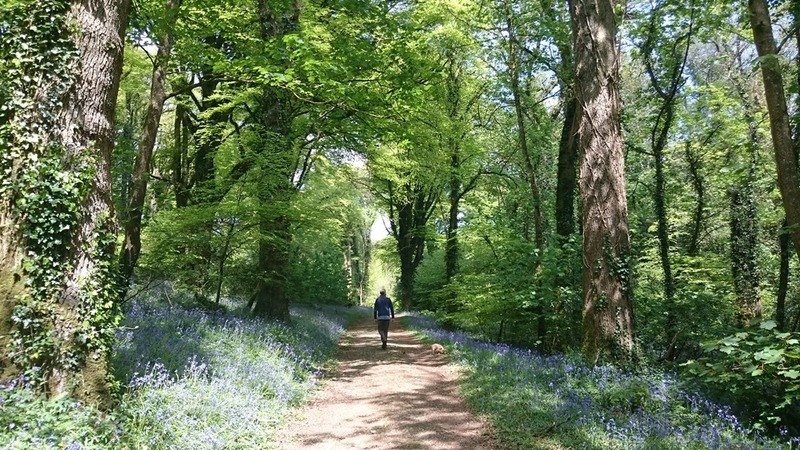 Trees not only provide a valuable habitat for wildlife and increase biodiversity they keep people in touch with nature and the cycle of the seasons. Trees can help to create a sense of place and local identity; increasing a community’s sense of pride in their local area. 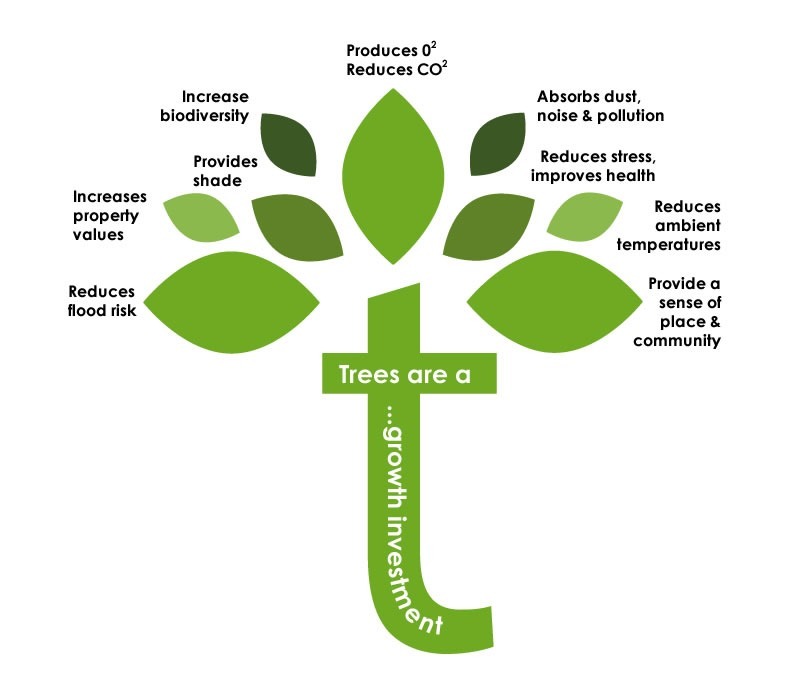 Tree planting is one of the most cost-effective methods of removing excess carbon dioxide from the atmosphere. A single mature tree can remove almost 22kg of carbon each year and release enough oxygen back into the atmosphere for 2 human beings. Trees remove and store pollutants from the atmosphere; research has shown a 60% reduction in particulates in tree lined streets. The canopies of trees slow the rate of rainfall reaching the ground whilst their root-systems hold the soil structure together and slow surface-water run-off; therefore reducing the risk and effects of flash flooding and erosion. The canopies of trees diffuse and therefore reduce, localised wind speeds.